College Basketball Season Breakdown | The Gettysburgian. So far in college basketball, the season has gone as many people would have expected. Duke, although they are ranked 2nd in the nation, have been lights out the whole year. 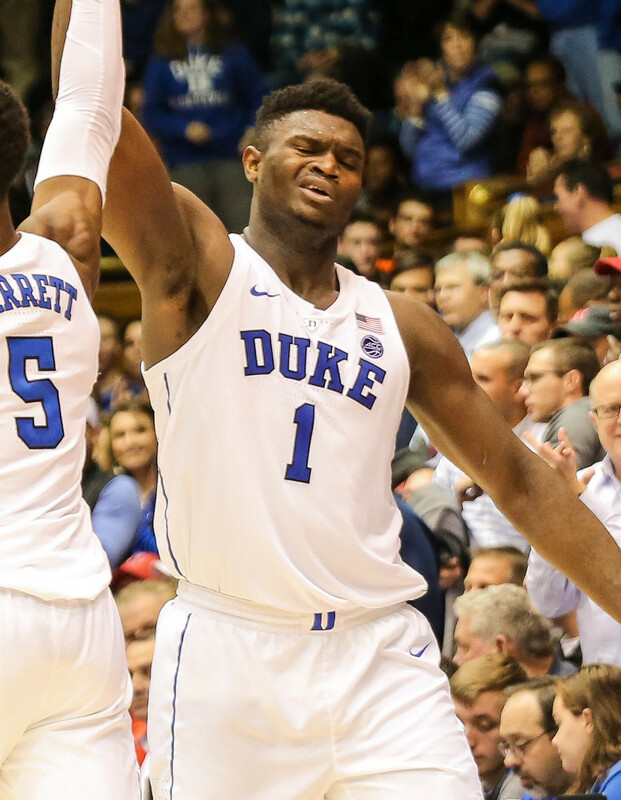 Led by their star freshmen Zion Williamson, RJ Barrett, and Cam Reddish, teams must play great games just to keep the score close. Expect them to reclaim the top spot again by the end of the season. The current number 1 team in Tennessee has also been playing strong as of late, currently riding a 12-game winning streak. With a weaker schedule, they should continue their winning streak but may struggle to hold on compared to teams with tougher schedules. Virginia, Gonzaga, and Michigan round out the top 5. However, Virginia and Michigan both suffered their first losses of the season this past week. Virginia has followed their typical blueprint this season, owning one of, if not the best, defenses in the country. Teams have continued to struggle scoring against them, even Duke who only managed to put up 72. Gonzaga and Michigan have very complete teams, able to score and defend with ease. All three teams will earn high seeds and be tough opponents come tournament time. The second half of the top ten also consists of a solid lineup of teams, any of which could find themselves within the top 5. Michigan State sits at 6 right behind Michigan, potentially able to pass them very quickly. Nevada is at 7, Kentucky, an annual contender for number 1 finds itself at 8, Kansas is 9th , and Virginia Tech holds the 10 spot. Nevada currently has an 18-1 record, dominating most of their opponents to this point. However, their true test will come tournament season, when they must face much tougher competition than they have up to this point. Kentucky and Kansas have both faced some tough teams and as a result see themselves at the bottom of the top ten. Both teams have lost some crucial games thus far in the season, but still have very talented rosters and will stand tough in the tournament. Virginia Tech is 10 for now, but a recent loss to 11 North Carolina will cause those teams to most likely switch when the new rankings come out. North Carolina has had an up and down season, winning some tough games but losing some to opponents they should have beaten, in part due to the youth of the team. Other teams in the top 25, while not highly ranked, still hold tough rosters and will give opponents a run for their money. At 14, Texas Tech could get hot and find themselves ending up as a top-10 team. Villanova, who has a couple of national championship victories in the last few years is at 18 but will always put up a good fight. At 21, NC State may not seem like much, but they have a solid offense that can catch anyone off guard.